Although, Tracy R. obviously has BOTH those qualities so I’m grateful that she’s willing to help a friend out. Hoping to slowly work our way around the room. She’s my own personal Marie Kondo working her magic. And like any good episode of Tidying Up…this creative, chaotic mess of a studio has been 13 years in the making. We found this house and moved in rather quickly and I had re-model the studio from scratch. Followed up with a pregnancy and a new baby…and the snowball rolled from there. So..while the studio has always brought me joy…It’s my Happy Place! I’m hoping to create a few systems and better organization that I’ve longed for for 30+years. Are you a neat freak? Do you have everything organized by color? 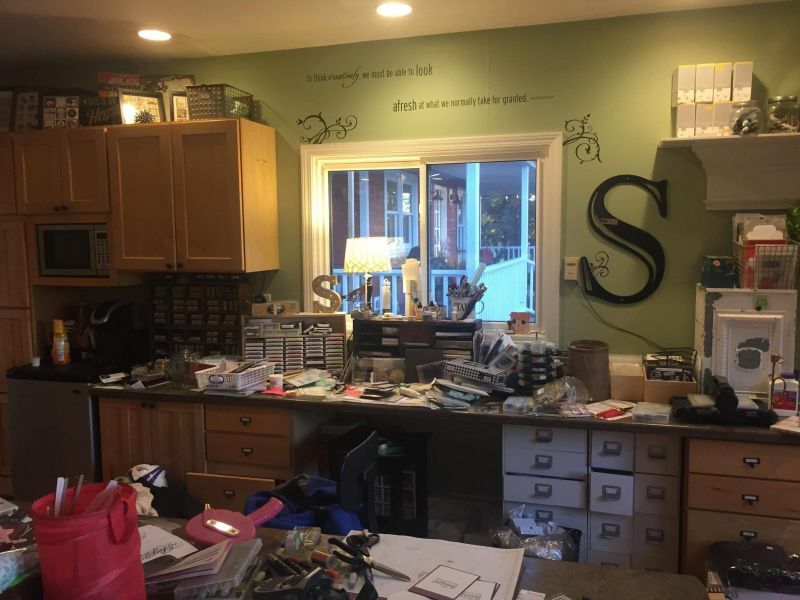 Do you struggle with organization? Leave a comment with your favorite organization tip or trick!